Cleaning your LCD screen can be a hassle, and it has always made me wonder how come someone hasn’t invented an LCD screen you can clean with water without fear of ruining it? Anyway, since your can’t use water and no one wants to spend $15 on LCD cleaners, try using some of the alternative methods below for cleaning the screen. 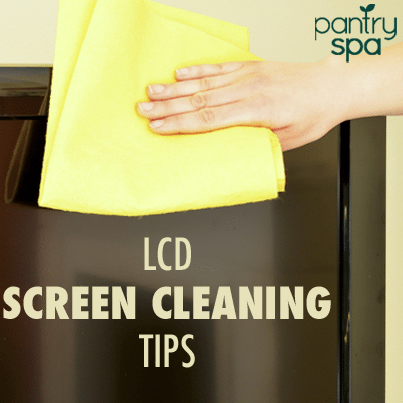 It is sort of myth that you can’t use water to clean your LCD. You can use water, but you need to use a minimal amount. Combine a little water with a microfiber cloth (never place water right on the screen) and use this to clean your monitor. Be cautious using other materials. Never use paper towels to clean a monitor because tiny pieces of wood in the paper could scratch the screen. If you have a stain that won’t budge with the water and microfiber cloth, you are to have make a solution to clean it. Dilute some white vinegar with water, using a 50/50 mix, and dampen a microfiber cloth with the mixture. Now wipe it on the screen and watch that tough stain disappear. If your only problem is a little bit of dust, all you need are some coffee filters. Keep them handy as well. The more often you dust the computer, the less chance you will need to use any of these other tips. If you are dealing with a full-on scratch in your screen, you are going to move away from the liquid and on to the pencil eraser. The best you can do is rub the eraser against the screen and hope for the best. Make sure the eraser is white and as soft as possible. You don’t want to make the scratch worse. Another method that also fills the scratch to make it less noticeable is the Vaseline method. Do the same thing you did with the eraser but rubbing Vaseline on the scratch to fill the void area then wipe away the excess and see how it looks.